The 10 Best Locksmith Blogs A locksmith is one of the most important professionals in any community. Although these are companies that you typically do not call on a regular basis, they are certainly handy when you have an emergency. When you are locked out of your home, vehicle, or your office, they can get you in very quickly. Essentially, these professionals are trained to not only install locks, but they are also masters of opening locks and also installing security systems. If you would like to find some of the best ones in your community, you can easily find them on the web. Likewise, you can find the 10 best locksmith blogs online that will provide you with helpful information. 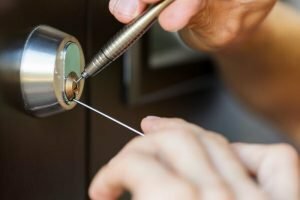 What Does A Locksmith Actually Do For You? A locksmith can perform many different functions. First of all, they are capable of opening up virtually any type of lock. They can disarm security systems, as well as install them. If you need to rekey all of the locks that your office, they can do this, or simply replace the locks that are there. If you need a copy of keys that you own, they can typically do this within a few minutes. These are just some of the many functions that a locksmith can provide for any community. This includes both consumers and businesses in the area. Of interest are the blogs that many of these professionals maintain. There will likely be several companies in your area, and also nationally, that are providing very useful tips that you can use on a daily basis. Some of the top ones that come up right away include United Locksmith, Desert Lock, and Rekey. There is also Keytek, Flying Locksmiths, as well as Bill’s Lock and Key. If you are looking for a commercial locksmith blog, you can go to the blog for Acme Lock, or even Unlock Me and Services. Finally, there is also Suburban Lock and the popular Find Local Locksmith blog that so many people use today. What Type Of Information Are They Going To Provide? The information that is provided on these websites will include tips that you can use as an individual, or perhaps you would like to resolve an issue that you have at your place of business. You could also learn how to replace your own locks, or install deadbolts, plus they can give you troubleshooting tips that are easy to implement. Most of them provide blogs because they also have a business. They recognize that most people are not going to be able to complete each and every task that they are presenting. You may feel a need to reciprocate for all of the free information they have provided, and if you do have a very difficult problem, you will likely call them to get help. Of course, the blogs that you are using should be maintained by businesses that are in your immediate area if you do want to use their services. You can actually search for, and successfully find, local locksmith blogs as well. To find the ones that are local, you need to specify the city and state that you are in when you do your search. This will help segregate the information so that only local blogs will be presented that are maintained by local locksmiths. In many cases, the information provided by these blogs will be just as good, sometimes better, than the national blogs that people go to when they have a question. What is important is that these are maintained by local businesses, people that you can call in case you do have a problem that only they can fix. After looking at the information presented on the 10 best locksmith blogs, you will be ready to possibly do some of this on your own. If you are able to, this could end up saving you a considerable amount of money. However, if the job is to difficult, and you would prefer having a professional do this for you, you can always call these local locksmiths to schedule an appointment. Whether this is for an emergency, or if you would like to schedule a time for them to come out to your location in the near future, one of these reputable locksmiths will be able to help you out.